Open Heaven 9 February 2019 Prayer Points on Today - Conformed to His Image? - Open Heavens Daily Devotional Messages, By Pastor E.A Adeboye. Open Heaven 9 February 2019 Prayer Points on Today - Conformed to His Image? 1. Thank you Father for your power of restoration. 2. Thank you Father because you are the God of harvest. 3. Father, let every sin that is blocking my reward and harvest in your vineyard be blotted out by the blood of Jesus. 4. Father, let me never labour in vain again, in Jesus’ name. 5. I decree that I shall never labour for another to reap in Jesus’ name. 6. As from today, I decree that I will always eat the fruits of my labours. 7. Father, please,send more labourers into your vineyard, because the harvest is plenty but the labourers are few. 8. Father, let there be uncommon and total restoration of all your blessings and opportunities, that have eluded me, in Jesus’ name. 9. Father, let all the rewards and harvests of the divine and good labours of my ancestors be released to me today. 10. Father, as from today, let an end come to every unprofitable struggle in my life and ministry. 11. Father, let every curse of “labour without harvest”, upon my life and family be broken, today, in Jesus’ name. 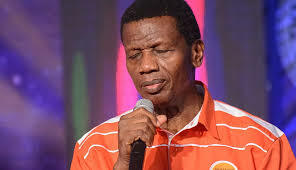 Open Heaven 9 February 2019: [Saturday] Daily Devotional By Pastor E.A Adeboye – Conformed to His Image? 12. Father, let every curse of “work without reward”, upon my lineage, that is still manifesting in my life be destroyed by the blood of Jesus. 13. Father, let all my rights and entitlements in the hands of any man, woman or organization, be secured and released to me, today, in Jesus’ name. 14. Father, let me receive full harvest and rewards for all my labours in your vineyard, including unclaimed harvest of others, in Jesus’ name. 15. Father, frustrate every plan to separate me from my harvest, and link me up with the unclaimed harvest of those who have gone ahead of me in my family and in my field of labour. 18. Thank you Father for answered prayers. (1st Thessalonian 5:18). 19. Father, please make me head indeed and don’t let me fail in my responsibilities.